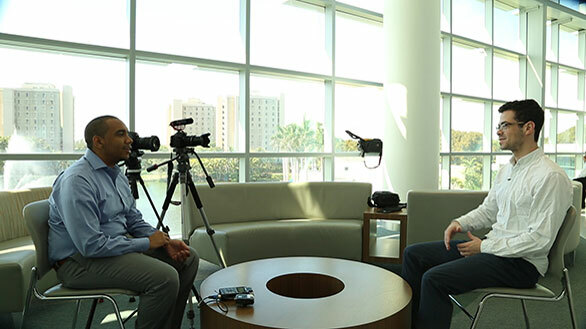 The three basic components of creating a successful storytelling journalistic video are mastering your equipment, in this example a DSLR camera; conducting and recording effective interviews, known as a-roll and gathering effective storytelling video, known as b-roll. Each of these essential elements of video storytelling is covered in the introductory tutorials below. guarantee access and openness an an understanding of how to effectively edit your content to best sequence the storytelling elements. Video stories are driven by audio and therefore require a clean and engaging audio narrative in addition to strong visuals. Most videographers will edit their audio track first prior to adding the visuals to the timeline. 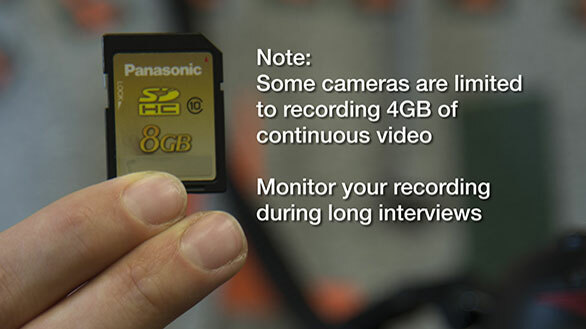 This helps direct the flow of the story and also helps direct your b-roll gathering. You can always improve your b-roll and it is always a challenge to have enough great b-roll. Producing effective videos is a complex and often frustrating experience, but mastering the basic concepts explained in these three tutorials will allow you to concentrate on your storytelling and help you produce stronger subject-driven narrative video stories. DSLR Cameras have become the industry standard for visual journalism as they can produce HD video with synced audio and high quality still images at a reasonable cost, ease of use and portability. Although different models and brands have different features and operating instructions, they all share the basic concepts discussed in this video. Once you understand the basic principles discussed in the tutorial, you should consult your DSLR manual or look online to see how the concepts relate to your specific camera model. A critical part of most video stories is the audio narrative that drives the story. The edited content from the interviews you conduct with a variety of subjects is called a-roll and is mixed with ambient sounds to create the video soundtrack. Conducting successful interviews requires competency with your equipment, familiarity with the subject matter and interview and editing skills. Gathering effective audio is a specialized skill that often involves a second journalist and a variety of microphones and sound gear. The principles covered in this tutorial apply to all types sound gathering gear. A majority of visual content in journalistic video stories is called b-roll and consists of visuals that support the a-roll content. Interview subjects discuss a variety of things that can be documented visually and therefore add context to the audio. Effective b-roll requires shooting and editing visual storytelling sequences that illustrate what your subjects talk about. One of the biggest challenges faced by video journalists is having enough supporting b-roll to cover the audio. This tutorial provides guidelines for gathering effective b-roll content. The project is co-funded by the European Union’s Fundamental Rights and Citizenship Programme, with further support from ERSTE Foundation and the Open Society Program on Independent Journalism.